"How dare you start on this journey, without taking a ticket from Me? Come down; do the task allotted to you. I order you to come to the Prayer Hall this noon and carry on with Arathi, as usual." That was the command, the divine command of the Lord to Sri Seshagiri Rao, whose body and mind were 'ready steady set' for the last journey. Baba did sound harsh. Yes, He appeared so unkind not only to the people around but also to the subject in question, Sri Seshagiri Rao, who was more than willing to shed his mortal coil after a fall and subsequent ill health, and had even started declaring aloud the eternal truths: "This body composed of the five elements is disintegrating into its components; I am being liberated!" But Swami had different plans for this sage-like servitor who for 14 long years had tended the shrine at the old Mandir and later at the Prashanti Nilayam Sanctum Sanctorum with great dedication and love. Sri Seshagiri Rao just obeyed Swami's order and in the evening he was seen attending the shrine - the signs of illness were gone. Six months later, this pious person fell ill again. His condition became worse and you could see that he was indeed suffering. His brother rushed in panic from Bangalore and requested Swami that Sri Seshagiri Rao be allowed to be taken to the Victoria hospital in Bangalore. But, Swami had this to tell him, "Do not worry at his present plight. I am allowing him to work out the suffering he has to undergo. After this, he has the chance to die peacefully and quite happily. Otherwise, I could have despatched him months ago, when he had a fall." And that is exactly what happened. "Swami asked me to bring a cup of hot milk. Spoon by spoon, He fed him the entire cup, calling on him by name and telling him that it was his Baba that was feeding him! Then, He rose and moved; turning back while at the door, He looked at him and said, 'Now you can go!' And, Seshagiri Rao obeyed within an hour! Baba knew when he had to come down and when he had to 'go'." This is not one isolated incident in the life of Baba. We all know of what happened to Walter Cowan, the oft-quoted story of resurrection recorded beautifully by Dr. Hislop in My Baba and I. We will not go into details here about that incident because there are many more. For every incident we know, there are hundreds and thousands that we do not know. Sai's power has been working silently, selflessly and relentlessly all-round the clock, all-round the globe transforming people, uniting families, enlivening spirits and resurrecting lives, for He is the master of Time and destiny. 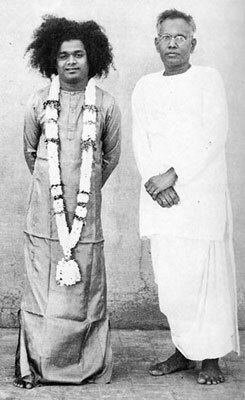 In the first week of August, 1953 in Puttaparthi, there happened another incident which, as Howard Murphet describes in Sai Baba: Man of Miracles, was as dramatic in its way as the Christ's raising of "Lazarus" from the dead. The "Lazarus" here was Mr. V Radhakrishna, about sixty years of age, a factory owner and well-known citizen of Kuppam, Andhra Pradesh. He was in Puttaparthi with his wife, daughter, Vijaya and son-in-law, Sri Hemchand. The Dasara celebrations were on but he was there in Puttaparthi with a different mission - to ask Baba to cure him of his frightful gastric ulcers. Two days had passed by in Puttaparthi and when Mr. Radhakrishna found Swami taking a stroll in the hall one day, he ran to Him and fell at His feet imploring Him thus: "Swami, I prefer to die. I cannot bear this pain anymore. Let me be merged in Your Feet." Swami lifted him up by his shoulders and in a comforting tone said, "It is alright. The pain will soon subside," and sent him back. Sometime later, Mr. Radhakrishna was attacked by fits, fell down and bit his tongue. Swami came immediately and placed Vibhuti on his forehead. His stomach was bloated. 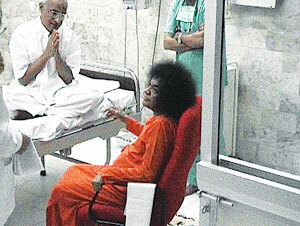 Swami sat by his side for sometime, patting his stomach. Before He left, He reassured everybody saying, "Do not worry. Everything will be alright." The next day was truly a nightmare. The patient could not pass urine and his stomach became even more bloated. He was unconscious. A male nurse brought by Mr. K S Hemchand, the son-in-law, pronounced him near death after failing to find any pulse and making other examinations. There was no way of saving him, the nurse opined. And by evening the patient became very cold. The three anxious relatives heard what they thought was the "death rattle" in his throat and watched him turning blue and stiff. His stomach looked full enough to burst at the slightest touch. 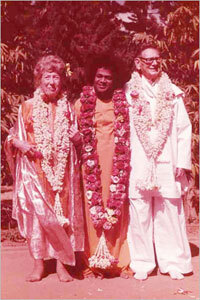 Vijaya, and Mrs. Radhakrishna, went to see Swami. They told Him that Radhakrishna seemed to be dead. 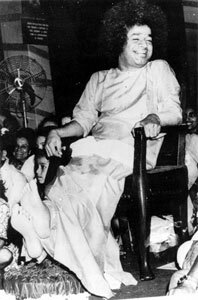 (Those days, devotees were very few and they had much greater access to Swami). But Swami just laughed and walked away into His bedroom. Crestfallen, the mother and daughter returned to the 'dead' man's bedside and waited and prayed. As if listening to their prayers, after a while, Swami came and looked at the body but did not say or do anything. The whole of the second night passed with the three fervently praying and anxiously waiting for any signs of life. But that was not to be. There were no signs. Yet, nothing could disturb their rock-like faith in Baba. When the Venkatagiri Raja, a longtime devotee of Baba, offered to take Mr. Radhakrishna in his car to a bigger hospital in a town some distance away, Mrs. Radhakrishna firmly said, "We cannot do anything unless Swami commands us. Everything depends on Swami's will." She completely believed that somehow or other Baba would save Radhakrishna as He had promised that everything would be alright. The whole body turned black. His nails turned blue. The night passed. No one slept. At about four in the morning of the third day, all the people around went away wiping their tears and all the three relatives began to weep silently. The body was more than ever like a corpse - dark, cold, quite stiff and beginning to smell. Other people who came to see and sympathise told Mrs. Radhakrishna that she should have the corpse removed from the ashram. But she replied, "Not unless Swami orders it". Some even went to Baba and suggested that, as the man was dead and the body smelling of decomposition, it should either be sent back to Kuppam or cremated at Puttaparti. Swami simply replied, "We'll see." When Mrs. Radhakrishna went to see Swami again - to tell Baba what people were saying to her, and to ask Him what she must do, He answered: "Do not listen to them, and have no fear; I am here." And further, He reassured her saying that He would soon come to see her husband. Mrs. Radhakrishna returned and waited along with her daughter and son-in-law by the body. 10 minutes, half an hour, an hour passed, but there was no sign of Swami. There seemed to be no light at the end of the tunnel and just when they were about to give up totally, the door opened and there stood Baba in His red robe, copious hair, and shining smile. It was then about half past two in the afternoon of the third day. As soon as she saw Baba, Mrs. Radhakrishna broke down completely. Vijaya was also crying. They were like Martha and Mary, the sisters of Lazarus, weeping before their Lord who, they thought, had come too late. And Swami, as if there was nothing serious to it, said jokingly, "Is Radhakrishna having labour pains?" Everyone was silent. "Let's see what the matter is," He said and walked into the room. At what point is a person dead? Can anyone say? There are instances where suddenly a 'corpse' will move; in fact, when Jesus received word that Lazarus was dead, He said to His disciples, "Our friend Lazarus sleepeth; but I go that I may awake him out of sleep." Anyway, to continue with the story, Baba gently asked the tearful women and sorrowful Mr. Hemchand to leave the room. There were only Swami and the dead man in the room and what happened inside only He knows. A few minutes passed, and the door opened and Swami beckoned all the three in. As they nervously walked in, they could scarcely believe their eyes! Was it true? Or, was it an illusion? There on the bed Radhakrishna was looking up at them and smiling! Amazingly the stiffness of death had vanished and his natural colour was returning! All the three clasped Swami;s Feet and washed them with their tears. Baba went over, stroked the patient's head and said to him, "Talk to them; they are worried." "Why worried?" asked Radhakrishna, puzzled, "what happened to me?" With a loud laugh, Swami replied, "Delivery." Everyone laughed. It was a strange scene, laughter in the midst of tears. Mr. Radhakrishna looked at Swami who was sitting near his head and said, "I'm all right. You are here." Swami then turned to Mrs. Radhakrishna and said, "I have given your husband back to you, now get him a hot drink." When she brought a tumbler of Horlicks, Swami Himself fed it to Radhakrishna slowly spoon by spoon. For another half an hour He remained there, gently touching Radhakrishna and strengthening the man He had 'raised'. Swami then asked Vijaya, "How old is your father?" Then, Swami reminded them how, four or five years ago, Mrs. Radhakrishna once had told Him, "Swami, in my husband's family, all his brothers died in their sixtieth year. Kindly save my husband." And how Swami had promised her then that He would save her husband. Swami then turned toward Mrs. Radhakrishna and said, "You have forgotten that conversation. But I have not. Today, I have given the gift of life to your husband." Then Swami placed His hand on Mrs. Radhakrishna's head, blessed the whole family and left the room. After two hours, He was back. He asked Mr. Radhakrishna, "Radha Krishnayya! Where did you go?" He replied, "That place was very peaceful, very comfortable; very, very nice, Swami. Why did you bring me back? It was heavenly there." It seems later, Swami confided to Sri Kasturi, "His children are still young. He did not even write a will. He has yet to perform the marriages of his children. That's why I saw to it that he was brought back. The extra years of life that I have given now I shall deduct from his next birth." What meticulous attention to correct the calculation of life span! Next day, Mr. Radhakrishna was strong enough to walk to Bhajan. On the third day he wrote a seven-page letter to one of his daughters who was abroad in Italy . The family stayed a few more days at Prashanti Nilayam, then with Baba's permission returned to their home in Kuppam. The gastric ulcers and complications had vanished forever. Aeons have passed by. Civilisations have emerged, grown and perished. Man, Nature, Science - everything has changed. But if there is one thing that has remained constant it is God. His love, His compassion for humanity, His concern and His impeccable glory. Another startling episode that amply demonstrates this happened in Prashanti Nilayam, just two decades back and it stands as a testimony to the inscrutable and infinite power of Sai. This time it was a young student, a research scholar staying in the hostel in Prashanti Nilayam. It was the month of October, 1985, the sixtieth birthday celebrations year. In the early hours of morning, I was woken up. One of the PhD Scholars was a chronic asthma patient. He was unable to breathe. Click here to listen to Mr. Narasimha Murthy's voice. We rushed him to the Puttaparthi General Hospital . The boy's name was Narayan Sharma. He was from Bombay , a classmate of the current warden of the hostel, Sri Shiva Shankar Sai. It was approaching six in the morning. You could imagine the plight of the warden when such a thing happens. I did not even dare to go to the Mandir and submit to Swami what had happened. It was Dr. Chari who walked to the Mandir and submitted to Swami the whole episode. Swami said, "Nothing will happen to him. He is fine". Swami, then materialized Vibhuti and gave it to Dr. Chari and said, "Apply it on his chest and put hot-water bags on his back." Dr. Chari returned and the Vibhuti and hot water bags were applied. It was 6.30 in the morning. I walked up to the Mandir. I reported to Swami. Swami said, "Nothing has happened to him." In fact, He gave me a thermos flask filled with hot coffee and said, "Go and give it to him." I was bewildered. I returned with this flask to the hospital. When I reached the hospital, the lady doctor looked at me with the flask and asked, 'For whom is this coffee?' I could barely say anything. I just very reluctantly showed the patient. Her face became completely expressionless. But there was a sense of, "Mr. Warden, you have lost your brain." These were her unspoken words. I did not know what to do with the coffee. The body of Narayana Sharma was covered with a white sheet. Only his toes were seen. And then suddenly, we saw movements! His toes were moving! We were overjoyed. And then the lady doctor, with great joy, went up to the boy. The boy could not open his eyes, but the toes were moving. And she put her finger at the nose. Slowly, the breathing was coming back. And then, she whispered these words into his ears, "See boy, Swami has sent coffee for you. Please take it." One spoon of coffee was fed into his mouth and he took it in! Then, slowly spoon by spoon coffee was being fed into his mouth. The lady doctor checked him again. The pulse was returning. Confident that the boy is back, she was connecting the BP apparatus to the boy's arm and just then Swami arrived with late Sri V. K. Narasimhan, the editor of Sanathana Sarathi at that time. Hearing Swami's voice, the boy slowly tried to open his eyes. Swami came near the boy and said, "What boy! Everybody said you are dead. Still you are alive!" The boy looked at Swami. His face was expressionless. Then Swami asked all the three doctors present there, Dr. Chari and two lady doctors, "Was he dead?" All of them said, "Yes, Swami. He was dead." Then He asked one of the lady doctors, "How do you say that he was dead." "Swami, according to us, there was no pulse, no breathing, no heartbeat; the body was cold and blue. Going by medical science, that is death." "Then how did he come back," He asked. "Swami, You are God. You can do anything." The lady doctor replied. The drama of Lazarus was re-enacted. Only the venue was different. There were about 50 classmates, who had assembled outside the General Hospital . They had come hearing that their friend has made his exit from the world. Swami looked out of the window. All the boys looked very sad. Swami then looked at me and said, "Go and tell them what has happened here." 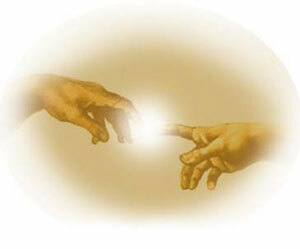 Swami confirmed that He had brought back the boy to life. And then Swami materialized a kind of brownish chocolate and gave it to the boy. The boy immediately put it into his mouth. After returning to the Mandir, Swami materialized three bottles of tablets and sent them to the hospital with detailed instructions as to how these tablets are to be administered. The boy was soon in the hostel busy with his research. And he completed his PhD. 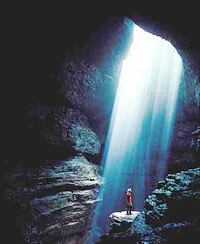 For an incarnation, it is sheerly His powers, His inner strength which achieves everything and nothing else. Instruments are only superfluous. There is nothing that is impossible for him", the warden concluded. "It happened on the afternoon of 1st October, 1994 . Along with students and some guests, I was inside Trayee Brindavan (Swami's residence in Bangalore ). 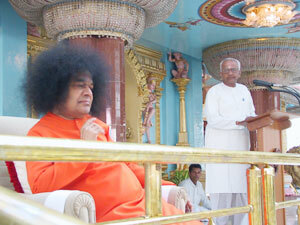 While Swami was speaking, I felt a sudden tightness in my chest. I began to sweat profusely and felt strangely breathless. Three quick pinches of Vibhuti from my pocket, followed by a chant of 'Sai Rama' three times was all I could muster before leaning on the person in front of me. I was slipping into darkness. I then saw an orange robe in an ocean of light. This was followed by a vision of my inert body lying on the floor. I could not believe it! I felt so free, so utterly free. My hazy memory does not recall what happened next, but I was informed later that immediately after I had passed away, a physician sitting nearby had examined me and found no vital signs. With some difficulty this was conveyed to Swami who was sitting on the jhoola [swing] in the front. Our Merciful Lord stood up immediately, picked up His silver tumbler, and walked to where my body was. My inert body jerked and my eyes opened to see Bhagavan. Looking at all those seated around, Bhagavan firmly asked, 'What other miracle do you want? Venkatesh was gone, and I brought him back.' I was helped back into my room." In fact, Swami gave him another lease of life when in 1999, a full five years after his resurrection, He blessed him to undergo a heart surgery at the modern temple of healing, the Sri Sathya Sai Institute of Higher Medical Sciences. Not only that, He made a special visit to the Hospital, materialized Vibhuti and blessed him profusely before his surgery. Mr. Venkateswaran is still doing fine and dedicates his time in the ashram doing Swami's work. "Subbamma was the person most anxious about Swami's 'health' when He was a young boy and most worried about the hundreds of pilgrims who gathered at Puttaparthi. Baba even now says that the grinding stone in her house was always busy, preparing chutney (an Indian dish) out of the heaps of coconuts that the pilgrims offered. She was grinding almost eight hours of the day! She had immense love and devotion to the Lord and Baba had said that He would satisfy her one desire... to have the Darshan of Baba in her last moments. And this is how he fulfilled it. It was in the fifties. Subbamma fell ill and was taken to Bukkapatnam. But in spite of her illness, she came over one day in a bullock cart to see the Prashanti Nilayam (the new Mandir), which was then under construction. She was soon bedridden and could not move; her condition worsened and Baba was away in Bangalore ! Subbamma, in her delirium, talked about Baba and the vision of Shirdi Sai Baba which she had been privileged to see, of the manifold Leelas of the Krishna she had witnessed, and, when she came to, her talk was about the same incidents and the same Person. She was in the midst of relatives who did not have much sympathy with these sentiments, for they felt that her love for the strange little miraculous Boy had taken her away from attachment to her kith and kin. So, they told her that her Baba was a hundred miles away, and it would be better for her to concentrate her failing attention on men and matters nearer and closer. But, her Faith did not falter. Meanwhile, Baba left Bangalore for Tirupathi, where He spent some time with a few devotees. Of course, Baba knew that Subbamma's soul was struggling to free itself from the mortal coil, and that she was rolling in her deathbed at Bukkapatnam. The people around her announced that she had breathed her last. But, some peculiar glow on her face, made them nervous to take the body to the cremation ground. A few wiser persons shook their heads when it was suggested that she had died. They advised patience, and admonished the relatives; 'The bird has not flown yet,' they said. How could that bird fly, even though the door of the cage was lying open? She must have the Darshan and she must wait until Baba comes. And, Baba too was hurrying towards her bedside. He left Tirupathi by car, and arriving at Puttaparthi, proceeded to Bukkapatnam, three full days after the first announcement of Subbamma's end! Her eyes had lost the glint, she was placed on the floor and people were evincing an uneasy impatience. Baba sat by her and in a low voice called out, "Subbamma," "Subbamma," just twice and no more! Then, to the wonderment of everyone crowding around, Subbamma opened her eyes! She extended her hand towards Baba and grasped His palm firmly and began to stroke it lovingly; Baba put His fingers to her lips; her mouth opened a little, as if she knew that Baba was giving her something to slake the thirst of the soul. From the fingers of Baba there poured into her mouth the Immortal Ganga and Subbamma joined the ranks of the Released! What a deliverance! Can anything better that! Swami knows who deserves what and when. Some people might ask why does Swami resurrect this individual and not another? Why does He save some people from serious illnesses or from near-death situations and not others? Why does He use His powers only for some and not others? "Perhaps, in the same way one might ask why Christ did not cure all the sickness around him in his day. And why was Lazarus the only one He called back from the tomb? Did Jesus - and did Sai Baba later - make a special effort against the power of death for a greatly loved family of close devotees? Maybe, but I think there is more to it than that. 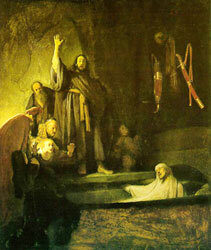 When Jesus was informed that Lazarus was sick he made the enigmatic remark: 'This sickness is not unto death, but for the glory of God, that the Son of God might be glorified thereby'. So what would normally, under ordinary conditions, be a death-dealing disease may be an occasion for the glorification of God through the works of a God-man. Then, too, there is the profound and complex question of karma. To what extent is the specific ailment or the approach of death karmic, and how far should the Godman interfere with the patient's karma?" So, that probably gives the answer. The bottom line is this: God is Omnipotent and Omniscient. He can do anything. He is not in the business of displaying His powers at every opportunity. There must be a very sound reason for Him to do anything. He knows our past, present and future. He knows what is good for us. And He makes no mistakes. Unaware of anything beyond the present and the past of the current life, we sometimes complain. But the solution does not lie in complaining but surrendering everything at His lotus Feet. Because He is ever ready to help. He stands at the doorstep of our heart waiting for a small opening just like the sunlight which eagerly enters a dark room and brightens it by way of even a small slit at the door. So let us open our hearts to Him. Let us Trust Him. For, with Him by our side, nothing is impossible.